You can delete a workspace through the Workspace Manager dialog box. In the Workspace Manager, select the workspace to be deleted and click the Left Arrow button to move it to the Available Workspaces list. 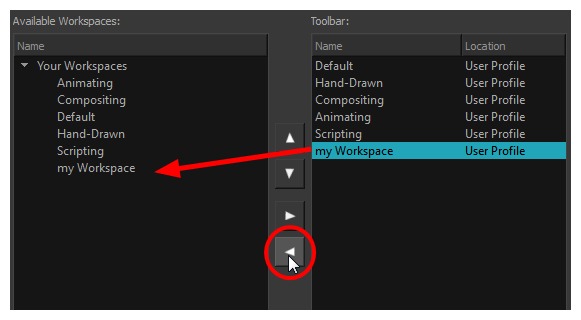 Select the workspace from the Available Workspaces list, then click the Delete button to delete the workspace.